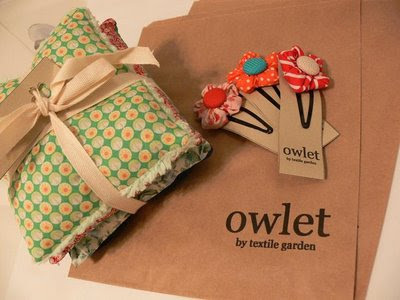 owlet: Home again, home again, jiggety jig! * Birds are still BIG... must make more bird things for next time. * Mushies were a winner too. * Clips are popular as ever, but more PINK!! 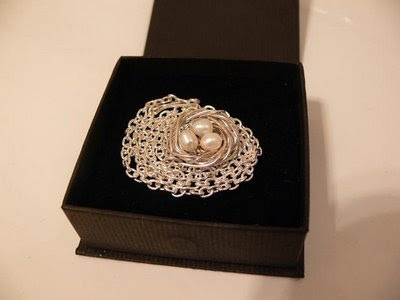 The necklace really is truly gorgeous. Oh wow, that jewellery is something else. I love the meaning it has for you too... makes me feel happy and sad at the same time, but it's great to remember Pippin in concrete ways. lovely to hear about your day. OOoooh I love the necklace! Good score. I'm a bit mad for all things bird! I also love the doily earrings.